We live in the era of digital revolution. Everything in our life is now dominated by the digital technology. From maintaining the daily lifestyle to getting the complicated jobs done, the latest technology is doing it all for us. No wonder, the digital invasion is also taking the healthcare industry by the storm to. From monitoring and prevention to the actual treatment procedure, everything is done with the help of advanced technologies these days. Along with the digital revolution in healthcare, there is a sudden spark of growth in preventive healthcare too. People are becoming increasingly conscious about well being and that is contributing to the growth of preventive healthcare technology. 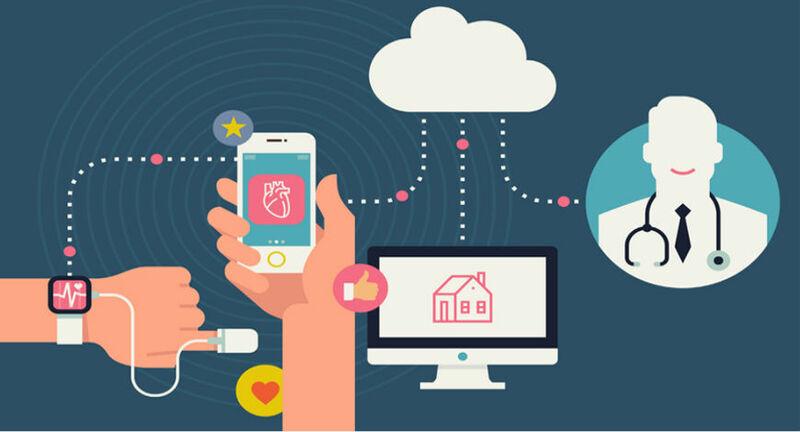 Here, we are putting together a few dominating trends in preventive healthcare and how technology is becoming a pivotal factor in the growth of the rising awareness. Since a lot is becoming a part of our regular life, using that in preventive healthcare is not a difficult task either. As people are now always glued to the app, it is rather an easier way to monitor their health too with the app. An app will provide the patient keep the records and maintain it regularly. It will let them about the right diet, exercise regime and specific prohibitions. Depending on the reading and indications, the app will let the patient know when it is the right time for them to go for a checkup. With such use of technology, preventive healthcare is bound to pick up the pace. Since years, when the metro cities have been under the spotlight for all kind of medical facilities, the tier II cities have been the most deprived ones. But with the rise of the home monitoring system and how it is making healthcare easier, these cities are becoming the frontrunners in the preventive healthcare revolution. With the use of medical devices and e-health, the tier II and III cities are showing the growth of 20% in the adoption of technology in medicine, whereas, key metro cities in India have grown only 15% in terms of the incorporation of technology in preventive healthcare. From medical devices to medicines, people are purchasing everything online. Devices like blood pressure monitor, blood glucose monitor, step counter, digital weighing machine, body fat analyzer are often bought online which shows the rising awareness of prevention too. Thanks to the accessibility of modern technology, India is quickly growing to be a healthy country. Needless to say, if this rate of growth in preventive healthcare sustains for a couple of years more, the rate untimely deaths due to the lack of treatment facilities will decrease too. Dr lalchandani path lab is the most advanced diagnostic labs in Delhi NCR.It offers all kinds of pathological test services with hundred percent accurate results and advanced technologies.Along with this, Dr lalchandani labs gives healthcare at doorstep with Home collection service. Now dont find a reason for not taking care of your health! go ahead and book a home/office collection service now for a healthy time ahead.Visit www.lalchandanipathlabs.com.